Whips of this style are used in Argentina for herding cattle. 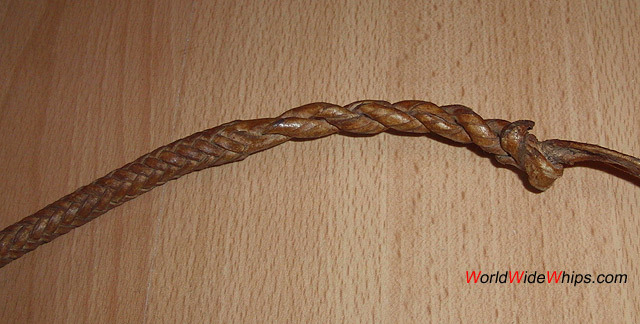 Except the handle core, the whip is entirely made from rawhide, a material harder to plait than leather. The thong is plaited 12plt / 6-seam (normally, whips are 4-seam) from the point. 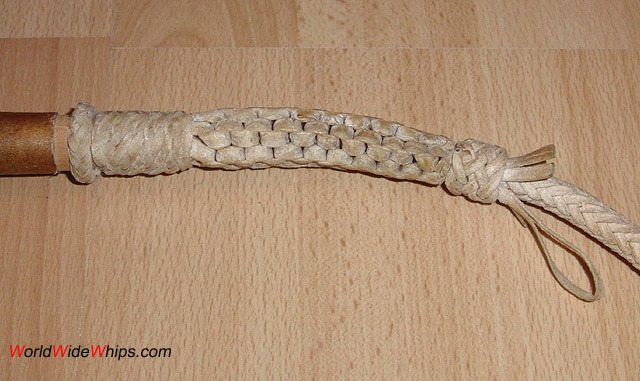 The first few inches are twisted instead and hold the replaceable rawhide fall. 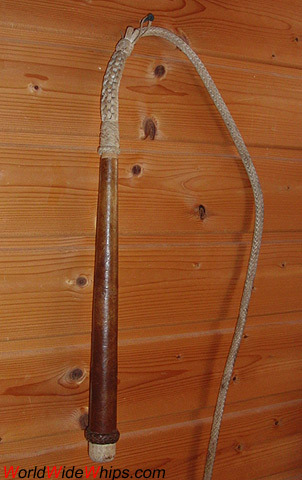 The thong is attached to the handle with crowning, making this whip something between a bullwhip and a stockwhip. There is no cracker, as this whip is just used for slapping. So the small loop at the connection between thong and crowning is not a spare cracker holder as I thought first, but for hanging the whip on a hook.